In 1999 author Tess Gerritsen first published Gravity, a medical/space adventure that saw its female lead, Emma Watson (no, not that Emma Watson), stranded in space after an outbreak kills the rest of her crew on the International Space Station. 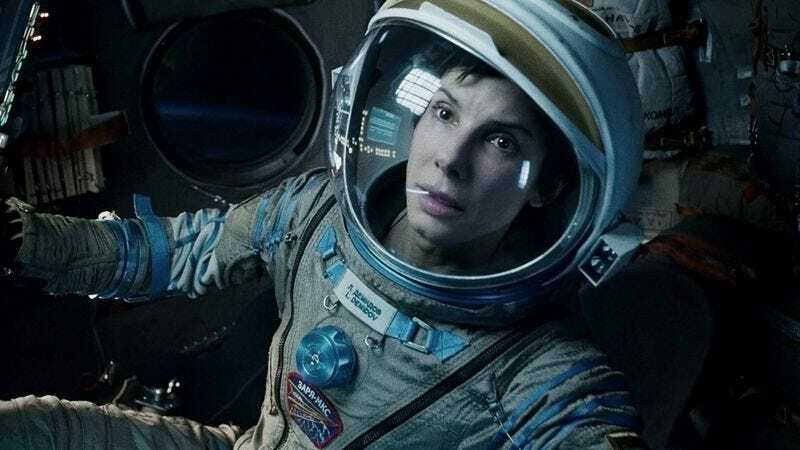 Last year’s Alfonso Cuarón directed Gravity told a sort-of-similar tale of a woman lost in space, but it was one that Gerritsen gleefully dismissed as a coincidence in a blog post when the film first started coming together in 2010. However, now Gerritsen has filed a lawsuit against Warner Bros., the company behind Cuarón’s Gravity—confusingly not for copyright infringement, but rather for breach of contract. Gerritsen alleges she sold the film rights to her book to a New Line Cinema subsidiary called Katja, which Warner Bros. would come to own when it purchased New Line in 2008. Gerritsen had previously dismissed any link between the two Gravitys, until she was informed that her contract with Katja was owned by Warner Bros. And in another blog post, she claims that the breach of contract suit was filed after learning that an individual linked to developing her project also worked on Cuarón’s film. She doesn’t name this individual in her post, but in the complaint Gerritsen filed, she goes on to allege that Cuarón was at one time attached to her Gravity project—a link that, if proven, could possibly lend some credence to her suit. Still, as The Hollywood Reporter notes, even with the suit not disputing any copyright issues, Gerritsen would still need to display substantial similarities between the two works in order to win the $10 million in damages she’s seeking—enough to overcome her own previous statements that they had nothing to do with one another.